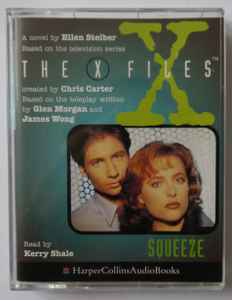 Produced For – HarperCollins Publishers Ltd.
FBI agents Fox Mulder and Dana Scully are tracking a serial killer, and all of the evidence points to the impossible: a killer who can squeeze through an air duct or slide down a chimney. A killer who has never left a trace - except for a fingerprint ten inches long. A killer who has struck down five victims every thirty years - since 1903. Mulder and Scully don't know how this monster of a man has endured for the entire twentieth century. But they do know that this is the year for the creature to kill, and it's closing in on its fifth and final victim.